You need to get to the exit, press shift when hitting an exit or a switch. 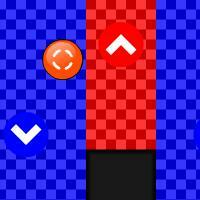 On the normal control setting you must rotate the ball with the left & right arrow keys and jump with space. On the other control setting the arrow keys change according to the gravity, if the gravity is down it’s left and right, if the gravity is right is up and down etc. You can change the controls in the menu. You are the last soldier in your last position to defend. Upgrade your weapons wisely, and buy 4 weapons with unique strengths.Better scores are awarded for earlier kills. Better money prizes are awarded by accuracy bonuses. Dress Up this cute pink fairy with variety of clothes and fashionable accessories. Also try the best wings and magical stick to this pretty fairy. In this game Sportacus, who must stop the evil plots of Robbie Rotten, and Stephanie girl from Lazy Town need your help. You have to color this two disney channel characters and then to print the poster.